xpsite3D is a revolutionary 3D site, subdivision and road design software package built by engineers for engineers. The suite offers advanced road and residential site engineering with an easy-to-use interface and powerful automated design functions. It allows for quick and easy production of site and road layouts including complex junctions and roundabouts/traffic circles. 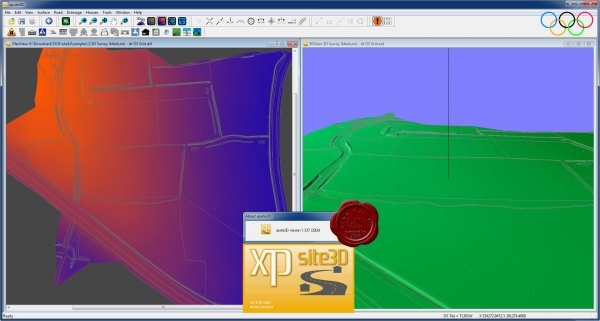 It provides full control of very rapid 3D views of all aspects of your designs – above and below ground. xpsite3D takes you from conceptual layouts through to fully engineered models and drawings in a way that is intuitive to design engineers and CAD professionals. Its inbuilt engineering intelligence allows you to create accurately engineered surfaces and volumes, which results in excellent productivity gains. But it gives even more benefit for the inevitable design reworks: when you move or modify any part of the roadway, the dimensions of the connected objects are adjusted automatically. The ease of use of the suite means designers can retain control of their road and site design rather than relying on others to interpret their designs into other software packages.